Modern, four bedroom villa,sleeps 8, with heated pool and panoramic views. Property 3: Modern, four bedroom villa,sleeps 8, with heated pool and panoramic views. Character house, near Carcassonne, Panoramic View. Property 18: Character house, near Carcassonne, Panoramic View. My wife and I spent a month in Aude recently. We could not have found a better place. 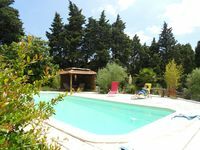 The gite is large, very comfortable and well equipped. Excellent Internet. The owners Mick and Inga are extremely friendly and accommodating. They ensure you are happy and comfortable. Fresh eggs on most mornings too! The gite is about 2 km from the town of Montreal, which is probably one of the nicest in the region. A car is a must. Large grocery stores are nearby. We used the gite as a base to explore Aude, Pyrenees and the Languedoc region. We were able to thoroughly visit the region including Carcassone, Toulouse, Andorra, Albi, etc. In addition, we were in the middle of one of the best wine regions on the planet and did some superb wine tasting. Best of all however, is that the gite is perfectly located for road cycling. The Tour de France rolled through here in 2014. My wife and I are avid cyclists and the variety and quality of roads is amazing. Very few cars, lots of climbing. Tons of fun. A cycling paradise. We really had a great time, and will definitely stay here again next time we are in the region.